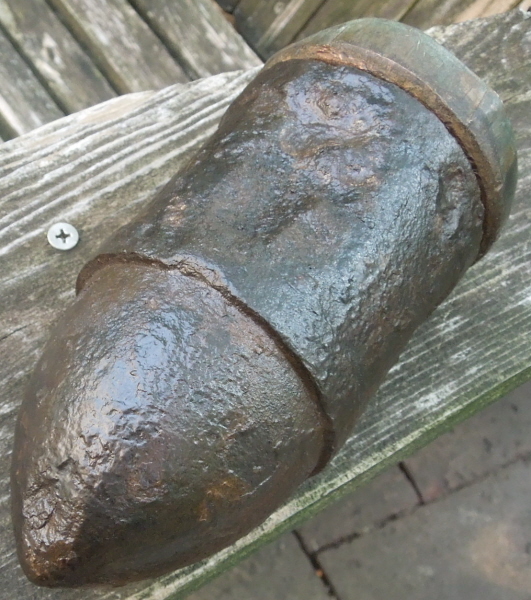 Description:These are really tough to find in any condition and usually are missing their sabot. 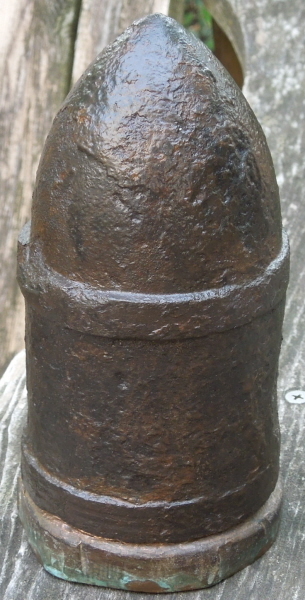 This one's copper sabot is intact, and only has 6 lands and grooves. This is an extremely rare number, and i am only aware of the firm of A.B. Reading & Brother of Vicksburg making 3in guns with 6 lands and grooves. 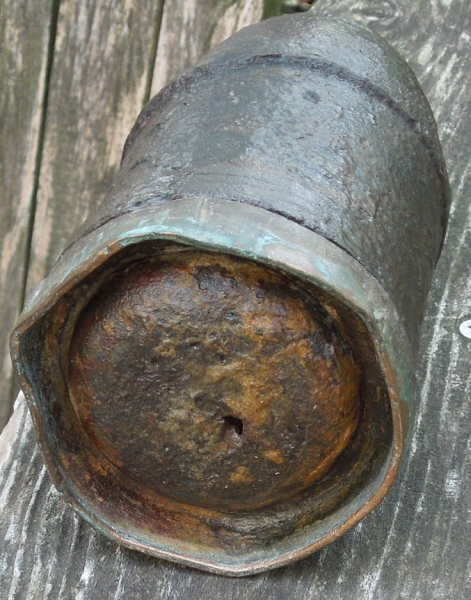 The firm made projectiles and perhaps made this scarce one to go with its guns. This one has been run through electrolysis, cleaned and coated for preservation. It displays extremely well, but one size has a divet in the iron where the casting sprue would've been I think.